When you become a parent, the things you once used to do regularly without even thinking, suddenly become a luxury. Eating out, heading to the grocery store to leisurely pick up the things you need, and even heading to the movies, can all feel like a military operation when you’ve got a baby or toddler in tow. One of the main activities parents miss when they have a baby is being able to catch a movie. It can be difficult to decide whether you should take baby with you and how old they should be before you take them to the movies for the first time. If you’re desperate to get out of the house and enjoy a glimpse of the life you once had, below you’ll discover everything you need to know about taking baby to the movies. How Old Should Baby Be Before You Take Them? This really depends upon your own preference. It’s perfectly fine to take babies just a few weeks old to catch a movie. However, you personally may not feel comfortable doing so. There is some stigma regarding taking a baby to the cinema which can be really off-putting; particularly for new parents. There’s also the fear of baby crying throughout and being looked at in disgust by other movie-goers. Does it make you a bad mom to take baby to the movies? Absolutely not! Many parents take their young babies to catch a movie. All babies are different however, so you need to know whether yours will be comfortable with the loud noises and the dark environment before you go. It’s also worth keeping in mind there could be germs floating around the movie theater. Young babies are at a higher risk of catching a bug, and in some cases, it could be really dangerous. So, you may want to wait until their immune system is a little more advanced before you head out. If you do think you’re both ready for your first movie trip, here are a few tips that can help make the experience more enjoyable. Before you do take your little one to the movies, there’s a few tips and pieces of advice you’ll want to follow. They may be old enough to go, but that doesn’t necessarily mean it’s a good idea or it won’t be stressful. So, let’s look at some of the best tips to ensure you and baby have the best possible experience. OK, so we’re not talking about making sure the storyline is suitable for baby here. However, one thing you do need to look out for is the decibel level. Action films for example, can often have a consistent level of around 90 decibels. According to the American Academy of Pediatrics, infants shouldn’t be exposed to noise levels above 45 decibels. So, if you’re planning on watching a good action flick, you might want to reconsider. Some movie theatres actually host sensory showings during the day. These are aimed at families with young children and feature bright lights, as well as a quieter environment. As other movie-goers will also be parents during these showings, you’ll also feel much more comfortable if your baby does decide to cry. You’ll also want to pay attention to the length of the movie. It’s not uncommon these days for movies to run for an average of three hours. This is far too long for a baby. So, if you do go to a long showing, you’ll find yourself spending a lot of time outside the theatre trying to soothe and distract your little one. The actual timing of the movie is also good to look at. If you can coincide the movie with nap time, it will be a lot more relaxing. Providing the movie isn’t too loud or too long, your baby could end up sleeping right through it. Similarly, you should avoid going when you know baby is going to be hungry or over-tired. If you are worried about your baby crying and refusing to settle during the movie, it helps to take a range of soothers. These could be pacifiers, comfort blankets or a bottle for example. Basically, anything which usually helps to keep baby happy, bring it with you! Distraction is often the best way to diffuse the situation. We mentioned the possibility of germs being passed on to your little one earlier. However, if you don’t want to wait, there are ways you can protect baby against germs while you’re there. The majority of germs are passed on via touch. So, as difficult as it is, avoid letting strangers hold, touch or kiss your baby. If you notice anybody coughing or sneezing while you’re there, make sure you move away or exit the movie completely to be on the safe side. Older babies aren’t as susceptible to germs, but it’s still worth following precautions just in case. Keeping baby in a carrier can help to encourage them to sleep throughout the movie. It also leaves you with free hands to grab everything if you do need to make a speedy exit. A wearable carrier is best as it keeps baby close, providing comfort and reassurance when you’re in strange surroundings. Even if you’ve been desperate to see a film for months before it’s released, you’ll want to avoid taking baby with you on opening day. Regardless of what time you choose to go, opening day is bound to be packed. So, wait a little while until the excitement has died down before taking your little one with you. Overall, it is possible to enjoy a trip to the movies with your baby and it’s a great way to get out of the house and enjoy a little “you” time. However, be sure to follow the tips above if you want to ensure it’s a stress-free, enjoyable trip to the movies. Thanks for the article, my toddler has just began watching movies at our tv and he loves it.I will suggest him to go to a movie at a cinema and i will keep these tips in mind for sure! Great article. Your tips are great, but I think is very stressful to take a baby to see a movie. I would better prefer to leave my baby with one of my relatives for two hours and go out with my wife and see a movie together, relaxing….I know that my wife would need a small time alone to relax, two hours is not too much but I know this counts a lot! Wonderful idea there, wallet. Yes, if you do have relatives who can look after the baby for at least two hours, you don’t have to bring the baby to the movies. And I’m sure your wife will truly appreciate the time alone with you. Your relationship also needs attention, not just your baby. That’s very thoughtful of you by the way. Yes, all babies are different that is why before deciding to take the baby to the movies, one really needs to consider the factors mentioned in the article. Hopefully, the one who decides to bring his/her baby to the movies has a baby that sleeps most of the time, haha. I’m sure the movie is really good that is why he/she can’t wait to see it on the big screen. We haven’t taken our baby to the movies just yet but I think that we will sometime soon. He has begun being very interested in cartoons and animated movies already. Me and my husband have been looking at some of the latest Walt Disney ones since they are so beautiful and definitely suitable for kids. Thank you for the amazing tips. Do you suggest that we also bring some sort of snacks with us or is that a bad idea? I think I have watched most Disney movies/cartoons when my kids were still young and only love to watch such things. And include Barbie shows for that matter since I have two girls. And I used to joke that our television only has 3 or 5 channels, and when people say, “That can’t be, you need to have it fixed.” I tell them there’s really no problem with the TV, it’s just that my kids ‘dominate’ our TV watching and only switch channels between Cartoon Network, Disney Channel, etc. haha. As for snacks, I would say definitely bring some so you don’t have to go out and buy some (and disturb the baby) while you’re watching the movie. I don’t think I would ever take a baby to a movie theater. I understand the need to get out and have that time, I understand that getting a sitter isn’t always easy or affordable, or even an option at all! But it’s just not something I would do under normal circumstances. That being said, I know there are some places that do special matinee showings of movies specifically for parents with kids. I’ve heard it called “Stars and strollers” and while lots of them are children’s or family movies, I’ve heard of them being more adult-geared shows as well. Something like that, I could get behind. As it is, when I take my 4 and 3 year olds to movies, it’s always to a kids movie, in the afternoon, with both me and my husband. Maybe I’m just not brave enough to attempt it any other way! I never tried taking any of my kids to the movies when they were babies. It never really crossed my mind, and even if it did, I would have probably felt it’s too much of an inconvenience, haha. My husband and I did take them to a kiddie movie once when the youngest was about five, I guess. We didn’t get to finish it because they got bored and never really sat still for 30 minutes, haha. We never took them again because kids really have short attention span. I just let them watch the kiddie movies online, at the comfort of home. My wife and I live with my parents. One of the benefits of living with parents when you have a baby is that your mother will look after your baby when you are away. You can always find time for outdoor activities when your mother is there to look after the baby. My baby is just three months old, so we don’t take him when my wife and I go to the dinner or movies. However, when the baby grows, we may have to take with us. My mother will not always be available to look after the baby when we want to go to the movie or dine in a resturant. We need to get prepared for taking baby with us. Thanks for the tips. I appreciate. You are very lucky that your mother is still strong and able to take care of your baby. Not many parents have that ‘luxury’. And you even get to save on paying for a nanny plus you are assured of a trusworthy care for your baby because it’s your mom taking care of him. Eventually you will have to take him with you because he will insists on coming with you, so you have to be prepared. I know this to be true because my youngest always wants to come with me wherever I go. This phase will not last long though so enjoy it because when your child grows up, he would no longer want to be with you when you go out, haha. I haven’t been to the cinema for years. The last time I went was perhaps 4 years ago, and my parents were here, so I let them take care of my two children and I went to the nearby cinema with my husband. I am not the parent who would bring young children to the cinema, though I don’t judge if other parents do. I think bringing the baby carrier is a good way, as baby usually feels more comfortable sitting or perhaps sleeping in the carrier, especially baby sling. I think the mom can breastfeed the baby in order to soothe the baby too if needed. Yes, not everyone feels comfortable taking a baby to the movies, kaka135. And that’s okay. I never took any of my kids to the movies when they were still babies, too,. Never have I actually tried bringing my baby to the movies. I am simply scared to disturb other viewers and might be the reason I have to cut my movie viewing short. 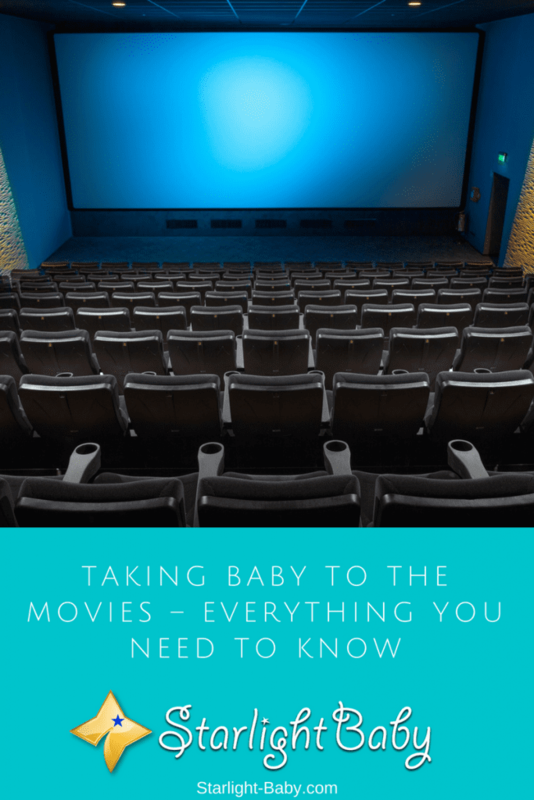 These tips could actually help and might be useful enough on might next trip to the movie house but then again there is nothing more safer than to leave the baby behind and lets just wait until the baby gets older for her to be old enough to watch with me. That’s true, jojo. The thought of disturbing other moviegoers with the sound of a baby’s cry when everyone is silently watching and concentrating to understand every dialogue is daunting. I think that would be one of the top considerations why some parents wait until the child is a few years old before taking him/her to the movies with them. I think among the six tips you have given, parents should be careful of who touches their babies while they are out watching the movies. It is already a known fact that babies come with that vibe that makes people around trying to carry them and play with them. So, parents being mindful of that o as to reduce issues of the baby falling sick afterwards is quite necessary to consider. Also, ensuring that those movies are not that horror and scary in nature is a sure way to reduce movie-induced fears into those babies as well. I would also suggest that not every time parents should go to the movies with their babies for there are times to let the baby relax at home. In my own opinion babies are not that practical to bring in movie theaters. There are many reasons we must consider, like what this blog says. The thing that movie theater is a public place and lot of people are there means that we/you cant guarantee the safeness of our/your babies from the crowd that can bring health issues like virus or germs, from criminals and the content of the movie. 7 years old is the perfect age to hang-out in the movie theater. Parents you can watch at home with popcorn! that’s awesome and very practical. All the tips here can be considered but I don’t think so that I have guts to bring my baby in the theater. I dread he will cry out loud and people will stare at us. However, you said here that all baby is different. Though my baby is not a crybaby, still I’m afraid to get embarrassed. Wow, I find these tips very interesting and certainly I’m quite sure it’s going to be very useful to all nursing mothers who also cares to enjoy a little bit of their lives. Being a parent is not an easy task and as such one needs a moment to leisure to help ease off tension and stress of always being cooked up in the house at home.